Harry Gasson, an 18-year-old Apprentice Technician at Porsche Centre Colchester was awarded Porsche GB’s first year Apprentice of the Year. 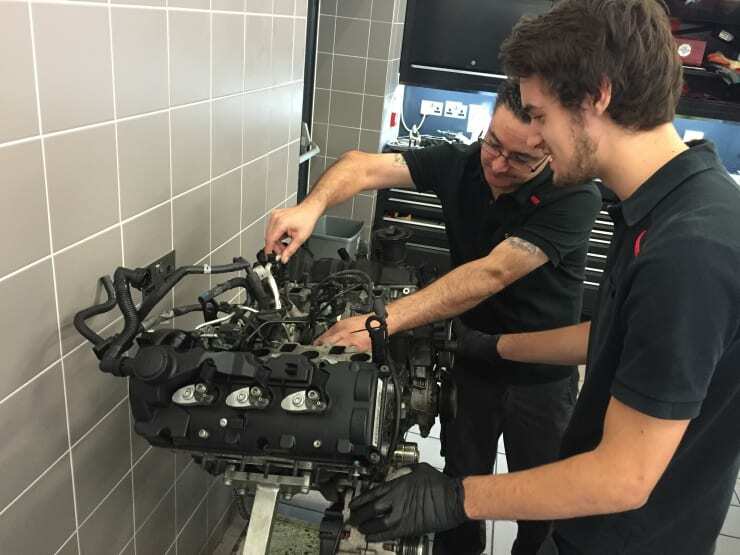 Competing Apprentices were put to the test at Porsche Cars Great Britain in Reading – completing eight online, eight written and three practical tests. Harry, said: “I was ecstatic when I found out I was the winner. It just felt so fulfilling that all the hard work that I had put in, and all the hard work, time and effort that everyone around me has invested in me has all paid off. Harry, who lives in Witham in Essex, had his sights set on an automotive career from an early age and geared his educational choices around wanting to work in the industry. Yet, the decision to apply for an Apprenticeship only came to mind after not enjoying the first year of sixth form, and deciding to look for a more practical opportunity. “I would go completely out of my way to persuade people to get an Apprenticeship. My experience as an Apprentice has by far and away exceeded my expectations and it has changed me entirely. It is such an involving and hands on way of learning and best of all you get treated as an individual and you learn what you need, to get you where you want to go. It has so many benefits, the main one being that you are getting paid to learn something that you chose to learn! This year has been the best year I’ve ever had. After not enjoying my time at school, I knew I’d landed on my feet after the first day of my Apprenticeship. The working environment, the cars and the jobs I am doing are the key factors to what makes my job so special. Learning new skills from my incredible colleagues has really boosted my knowledge and ability, much more than any text book ever could.